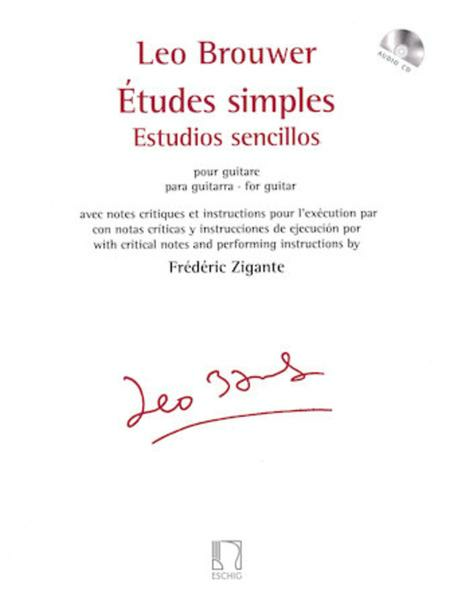 With Critical Notes and Performance Instructions by Frederic Zigante. Composed by Leo Brouwer (1939-). Edited by Frederic Zigante. Editions Durand. Classical. Softcover with CD. 128 pages. Editions Max Eschig #DF16268. Published by Editions Max Eschig (HL.50565810). This new, completely revised and updated edition includes critical commentary and performance notes. 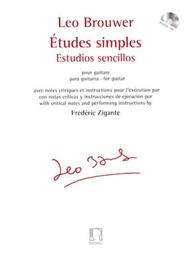 Each study is accompanied by an introduction that illustrates its principal musical features and technical objectives, complete with suggestions and preparatory exercises. Includes a CD of full performances by Frédéric Zigante.